The moon experiences a heavier bombardment by small meteoroids than models had predicted, according to new observations from NASA’s Lunar Reconnaissance Orbiter (LRO) spacecraft. The result implies that lunar surface features thought to be young because they have relatively few impact craters may be even younger than previous estimates. 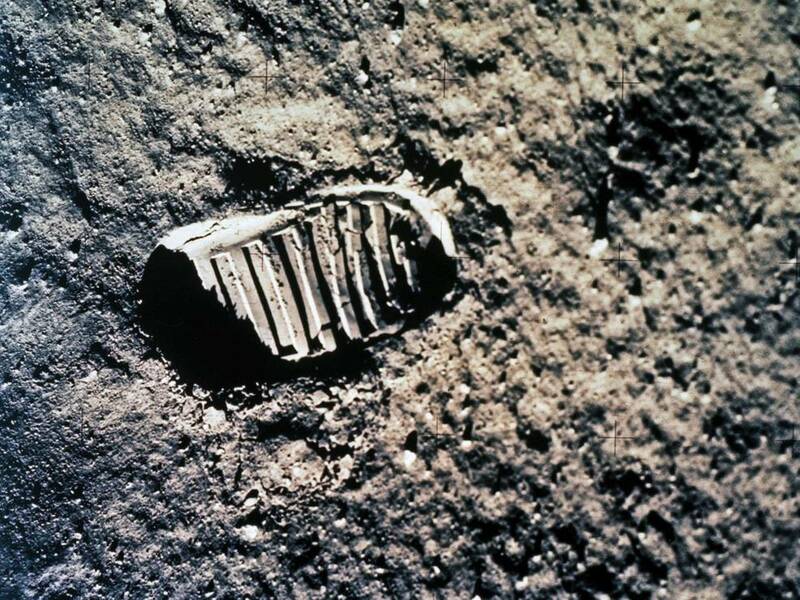 The finding also implies that equipment placed on the moon for long durations — such as a lunar base — may have to be made sturdier. While a direct hit from a meteoroid is still unlikely, a more intense rain of secondary debris thrown out by nearby impacts may pose a risk to surface assets. “Before the launch of the Lunar Reconnaissance Orbiter, it was thought that churning of the lunar regolith (soil) from meteoroid impacts typically took millions of years to overturn the surface down to 2 centimeters (about 0.8 inches),” said Emerson Speyerer of Arizona State University, Tempe. “New images from the Lunar Reconnaissance Orbiter Camera (LROC) are revealing small surface changes that are transforming the surface much faster than previously thought.” Speyerer is lead author of a paper about this research in the Oct. 13 issue of the journal Nature. “The newly determined churning rate means that the Apollo astronaut tracks will be gone in tens of thousands of years rather than millions,” said Mark Robinson of Arizona State University, a co-author. LRO went into lunar orbit in June of 2009 and has acquired an extensive set of high-resolution images of the surface, including pairs of images of the same areas taken at different times. Using these before-and-after images (temporal pairs) acquired by the LROC Narrow Angle Camera (NAC), the team identified over 200 impact craters that formed during the LRO mission, ranging in size from about 10 to 140 feet (approximately 3 to 43 meters) in diameter. Since impact craters accumulate over time, a heavily cratered surface is older than a region with fewer craters. Knowing the number of craters that form each year is important when estimating absolute ages of the youngest regions. By analyzing the number, size distribution, and the time between each NAC temporal pair, the team estimated the contemporary cratering rate on the moon. 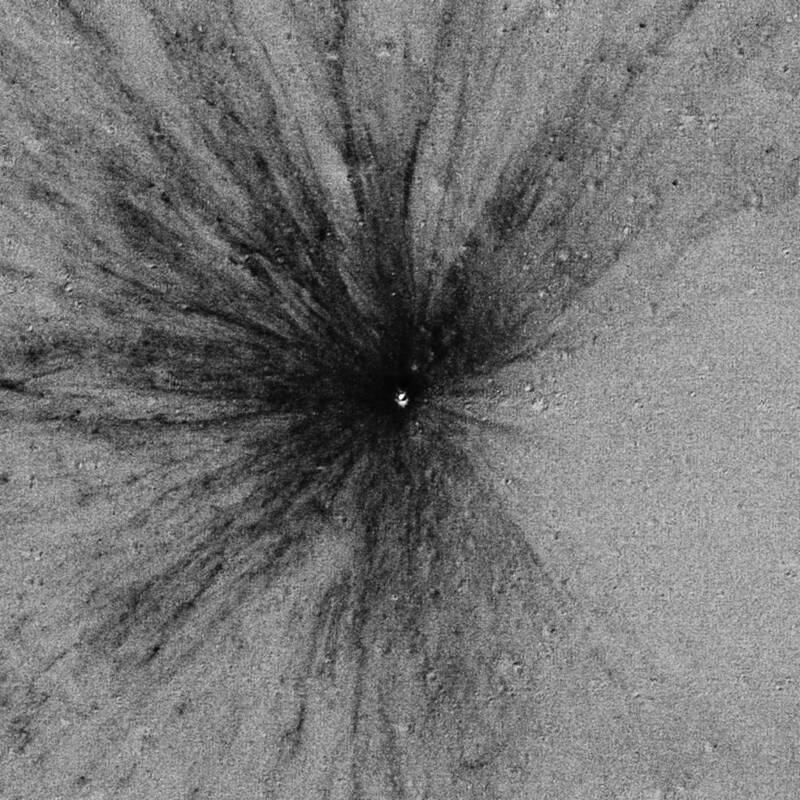 During the search, they identified about 30 percent more new craters than anticipated by previous cratering models. In addition to discovering new impact craters, the team observed over 47,000 small surface changes, which they call splotches. They are most likely caused by small impacts, according to Speyerer. There are dense clusters of these splotches around new impact sites suggesting that many splotches may be secondary surface changes caused by material thrown out from the primary impact event. The team estimated their accumulation over time and from measuring their size they inferred how deeply each splotch dug up the surface and thus how long it takes to effectively churn the upper few centimeters (approximately an inch) of the regolith. The team found that 99 percent of the surface would be overturned by splotch formation after about 81,000 years. This rate is over 100 times faster than previous models that considered overturn from micrometeorite impacts alone, and ignored the effects of secondary impacts. The team also found that the new impact craters are surrounded by complex reflectance patterns related to material ejected during crater formation. Many of the larger impact craters — those greater than 10 meters in diameter — exhibit up to four distinct bright or dark reflectance zones. The research was funded by the LRO project. The Lunar Reconnaissance Orbiter Camera was developed at Arizona State University in Tempe. LRO is managed by NASA’s Goddard Space Flight Center in Greenbelt, Maryland, as a project under NASA’s Discovery Program. The Discovery Program is managed by NASA’s Marshall Spaceflight Center in Huntsville, Alabama, for the Science Mission Directorate at NASA Headquarters in Washington.